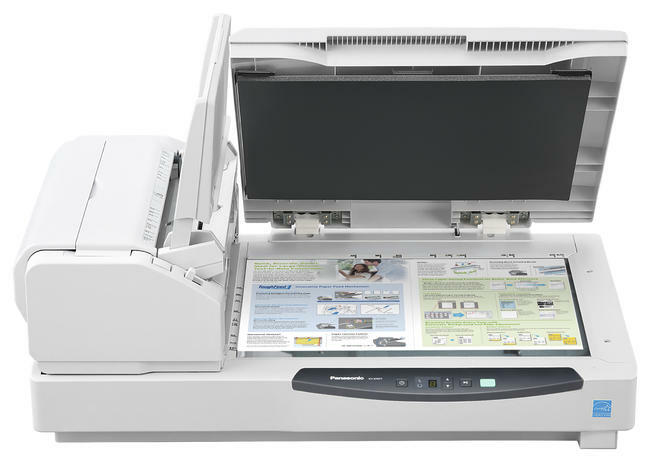 Supporting a range of document types, drivers and operating systems, the ADS-3600W features a staff-friendly colour LCD touchscreen, NFC (Near Field Communications) and wireless connectivity to ensure seamless integration into your existing office environment. 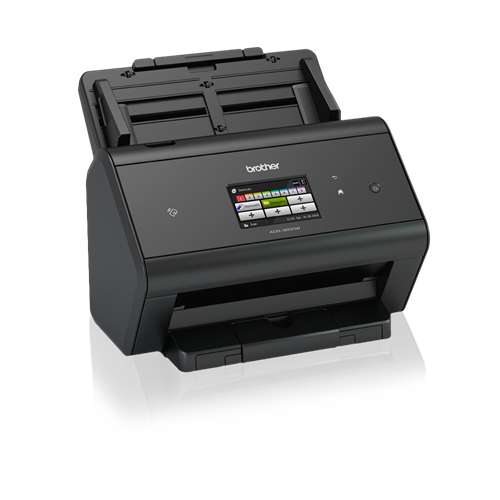 The efficient unit is also fast at 50 pages per minute and dependable with a daily duty cycle of up to 5,000 sheets, making it ideal for businesses that regularly digitize lots of hard copies. 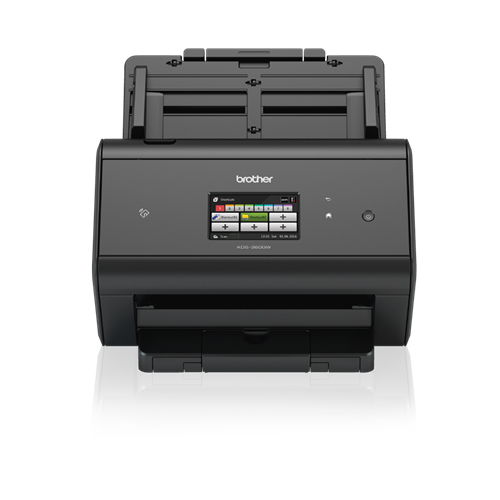 The Brother ADS-3600W color document scanner offers business-ready, professional grade office scanning, for fast, efficient and time-saving digitization. One touch scanning from the 9.3cm color touchscreen provides a simple scanning solution for all office employees, while the large screen makes it easy to identify features and operate, minimizing the need for staff training. 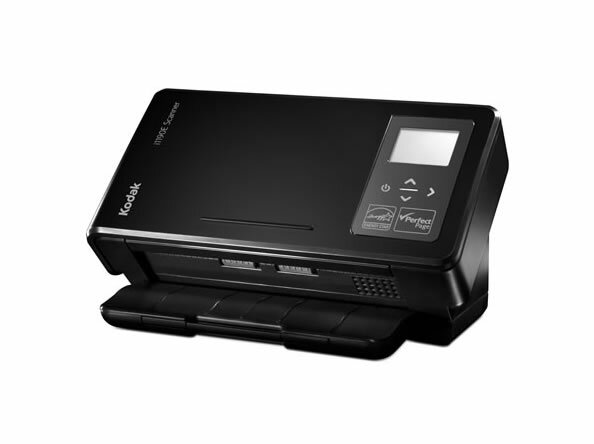 This high-end document scanner incorporates scan to email, email server, file, image, USB and web as well as scan to Network, OCR (Optical Character Recognition) software and SharePoint for multi-function operation, and is ideal for larger business requirements. Incorporating SuperSpeed USB 3.0 for high-performance super-fast processing and optimized power efficiency, the Brother ADS-3600W is designed for improved usage and faster data transfers. The unit also offers USB 2.0 backward compatibility. 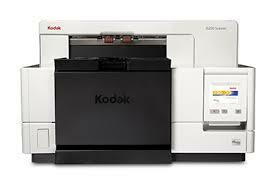 Give customers, visitors or colleagues quick temporary access to a Brother scanner without the need to obtain passwords or enter login credentials, which can be time-consuming and complicated. High-Speed Duplex Scanning. 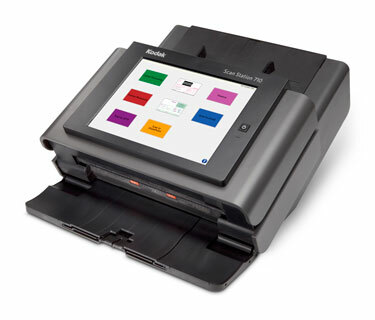 Scans single and double-sided materials in a single pass, in both color and black/white, at up to 50ppm to help maximize your workgroup's productivity. 3.7" Swipe Color Touchscreen Display. Allows for easy device navigation and shortcuts to help simplify tasks. Enables direct scanning to a variety of cloud applications such as Google Driveя┐╜, Evernote and Dropbox. Versatile Connectivity. Includes built-in Wireless 802.11b/g/n and Wired Gigabit Ethernet network interfaces, as well as Wi-Fi Direct and SuperSpeed USB 3.0 for local connectivity. Advanced Scanning Features. 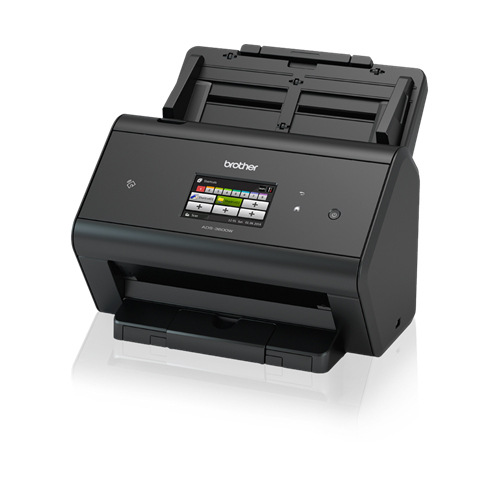 Offers paper jam sensor, 2-in-1 Mode for capturing 11" x 17" documents, and Continuous Scan Mode for scanning unlimited pages into a single file. Kofax VRS Compatible. Provides a wide-range of security features including: Integrated NFC card reader, Secure Function Lock, SSL/TLS, Enterprise Security (802.1x), network user authentication and corporate email address lookup via Active Directory (including LDAP). Powerful Software Suite. Includes advanced OCR, PDF editing, and desktop document management programs. in order to create custom solutions and enhance business workflows.